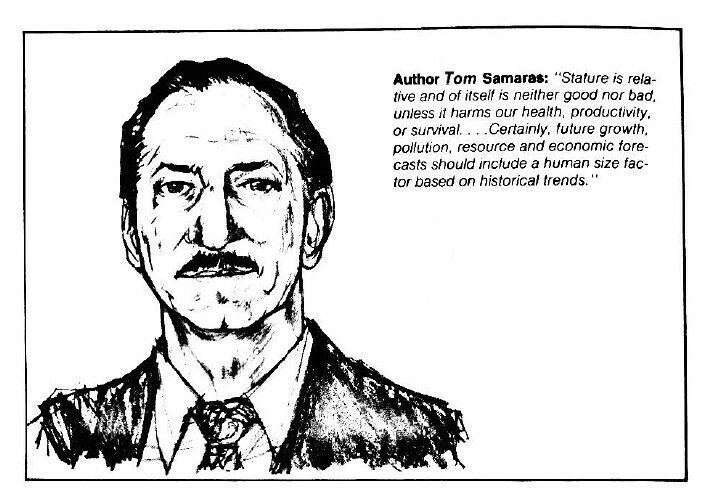 Thomas T. Samaras is, without a doubt, one of today’s most influential exponents of shrink thinking. For 40 years now he has investigated the myths and realities of human size and its effects on performance, health, pollution, and survival. Samaras publishes frequently on all subjects related to human height and has written two influential books on the matter, The Truth About Your Height and Human Body Size and the Laws of Scaling.